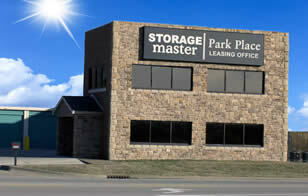 Storage Master offers: Month to month lease; clean, secure, dry units; computerized gate entry with 24 hour access and over 500 units offer multiple sizes to fit your needs including outside Boat/RV storage. Our facility is fenced and is well lighted. We are conveniently located just minutes east of Evansville across from the Newburgh Walmart. $20 Refundable security deposit required on each rental space. You provide your own lock or you can purchase one from us.